I have loved westerns for many years. In fact, some of the first novels I ever read as a kid were by Louis L'Amour who quickly became one of my favorite authors and the western genre became a reading staple for me. So when I saw this book on a Kindle deal a few months ago I decided to give it a try. My first impression, as I began reading, was that this story was well researched. Which is a good thing when using actual historical figures, such as Abe Lincoln and Allan Pinkerton, as part of the main plot. Rob "Longshot" Finn is an Irish immigrant to the US and has found himself as a sharpshooter in a unique position, working in a special capacity for both the Union army and the Pinkerton National Detective Agency. Baker's descriptions of the inner workings and day to day running of Allan Pinkerton's organization were fascinating. I've been intrigued by the Pinkertons for some time now, but I had no idea of the full scope of what they accomplished early on. The agency was, in fact, a forerunner to what we now know as the Secret Service. Check out the Wikipedia page for the Pinkerton agency for some fascinating info. But back to the book at hand. 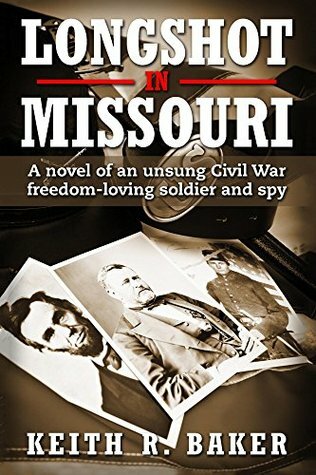 The story is set during the Civil War and as mentioned above, the main character, Rob Finn, is a soldier in the Union army. Due to his special arrangement with the Pinkertons, he is not assigned to a particular unit, therefore, the story follows him as he goes out on assignments alone. Finn is a great character that you can't help but like. As he faces victory and loss, tragedy and happy times, you can appreciate his responses to each situation and you start to care about what happens to him as the book progresses. Most of the other supporting characters are great as well with a few exceptions. There are occasional tertiary characters which feel a bit flat and forced. That brings me to Baker's writing. While he obviously did a lot of research and knows how to put together a great story, his writing lacks a certain polish of a Max Brand, Zane Grey or Louis L'Amour. It's not so much in the dialogue but is more apparent in the sections when he has to play the narrator and advance the story along or move things from one event to the next. The action sequences on occasion also suffer from a case of not following the rule "Show, Don't Tell". While these gripes didn't detract from my enjoyment of the story enough to make me abandon the book they were present nonetheless. That's not to say Baker is a bad writer, just that there is a certain finesse that is missing in my opinion. The storyline was intriguing and will no doubt delight western fans. Finn faces many friendly characters in his journeys but also encounters his share of unsavory ones as well. There are even some folks he interacts with while undercover who, while they are technically on the opposite side of things, he relates to in a human way and has an internal conflict over their positions which felt very real and genuine to me. The book has many typical elements of your standard western; gunplay, long horseback rides, displays of horsemanship, even some fistfights. All of which are told in an engaging, conversational tone. The story progresses at a good pace and has a relatively smooth flow to it with a couple of gaps between chapters that are then recapped later. In terms of content advisories, there are quite a number of instances of foul language which I would have preferred to do without. There was no sexual content which I was glad for, seeing how there are certain western authors I've encountered who seem to thrive on using the genre simply as a backdrop for explicit, sensual escapades. Kudos to Baker for not going that route. As one would expect from a story set in the "old west" there are many examples of violence and death, but they were not gratuitously described. I really enjoyed this first book in the Longshot Series and I look forward to reading more about Rob Finn. If you can overlook the swearing and the slightly inelegant writing style then you should check out Longshot in Missouri. I'd recommend it for adults only due to the language. 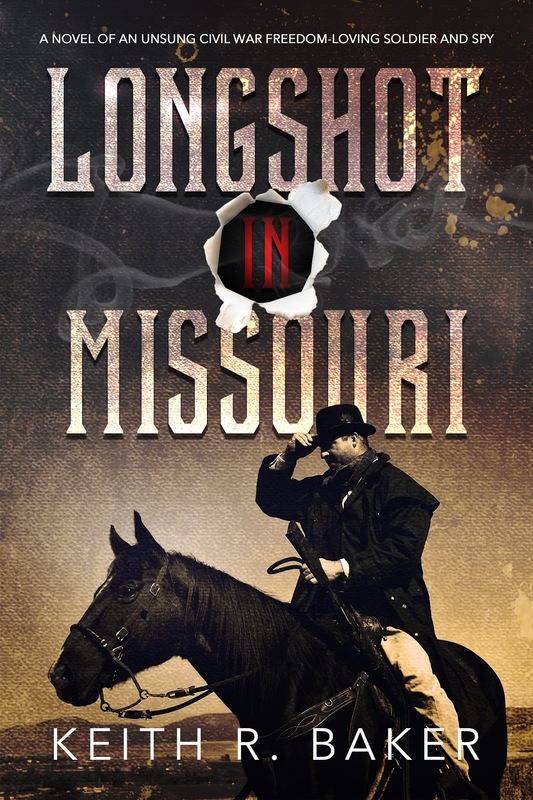 Purchase Longshot in Missouri on Amazon. 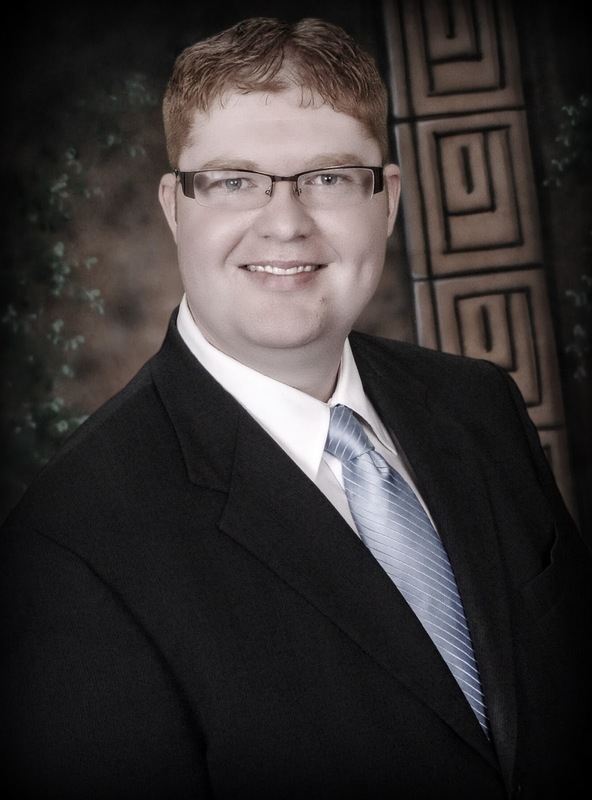 Visit Keith R. Baker's author website. If you sign up for Baker's newsletter, he will send you a free ebook copy of Bridget's Story, the prequel novella to Longshot in Missouri.